When playing Football Manager it is vital to make sure you are taking time to focus on the training you are providing your players. Without a good training program it is not going to be possible to develop them as much as you would like to. 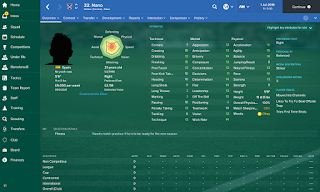 So how do you develop players on Football Manager 2017 and what tips can I offer in the area of training? 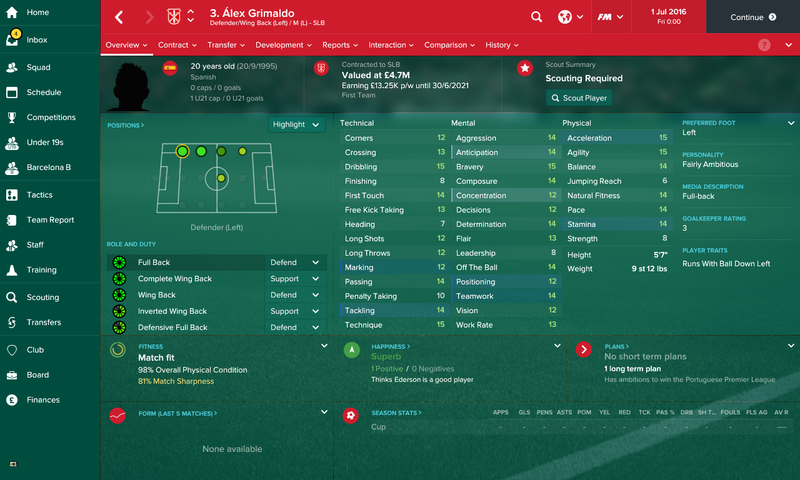 In this article I am going to list as many training tips as I can so that you can develop your players as much as possible. Focus on attributes that need to be developed - This goes without saying but it is important to make sure you are developing attributes that need to be developed. It is never a good idea to just focus on a players weakest attributes. Always focus on their strongest attributes. You can sometimes hide a players weakest attributes and you can always make the most of their strongest attributes. Lets say you have a defender who is not very good a passing but he is good at tackling. If you made your defender take fewer risky passes and passed the ball shorter, this will minimise the number of mistakes he could make from his poor passing attributes. It could be said that it will be a better idea to develop the strongest attributes of a player so he gets even better at what he is good at doing. Rotate the training your players are on - It is important to make sure you are making notes and keeping an eye on what attributes are developing for your players. What I do is on the 1st of every month I will take a look at what developments have been made on the players I am looking to develop. If I see a player has increased on a certain attribute I want him to develop on then I will rotate him onto something else. 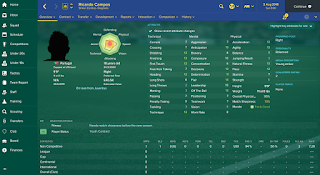 Lets say as a good example I have a central midfielder who I am looking to increase his tackling attribute. Lets say his tackling attribute is 12. I will put the player on training to develop his tacking attribute further. Then after checking back regularly, when this attribute has increased to 13, I will move him onto developing the next attribute. This is a good tactic to use and I do find its the best thing to do. I have found that doing it this way you can pick which attributes you would like your players to develop first. It is important to make sure you have a clear plan for every player you are looking to develop at your club. Make sure they are tutored - one of the most important areas for making sure your players will develop as much as you would like them to is to make sure they are tutored to have a good personality. I will make sure that my players have a professional personality and I will also make sure they have good determination. Players will develop quicker if they have a better personality. Focus on training for the position you need them to play in - If you like to set up your tactics in a certain way, then you need to develop players for the system you would like to play. 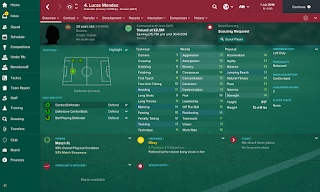 As an example on my lower league save, I have one of my two central midfielders on the advanced play maker role on support and the other midfielder on a central midfield role on the attack duty. What this enables me to do is to have one creative midfielder (who is supported by a defensive midfielder just behind him). 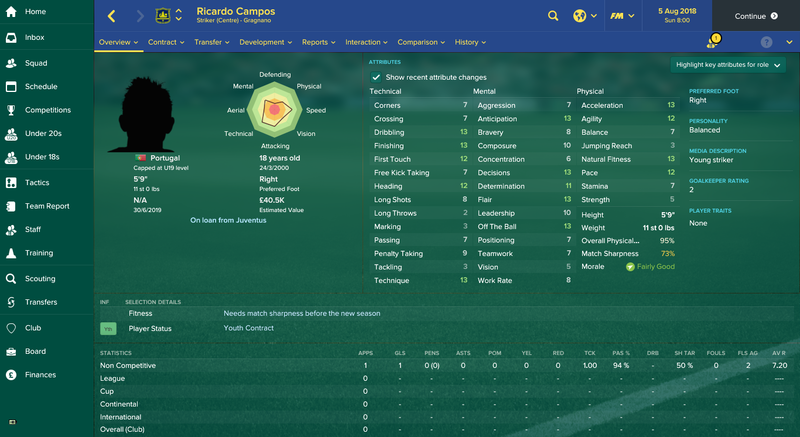 I then have my central midfielder who will support in defence but he is more willing to push forward to support attacking moves. This gives me good flexibility when attacking. It is important to make sure that I have players in my midfield who can be creative and also put their foot into a tackle and work hard. Of course I can go out and buy players of this mould, but I simply don't have the money to do this. Instead what I have needed to do for the past 5-6 seasons is to find players who are good at tacking and their work rate and then if I need a player to play in that advanced play maker position then I will train that player to be better at being more creative. I will put him on a training program to improve his passing, I then just need to hope through game time and training in the position of advanced play maker that he gets better at being more creative for me. This tactic has enabled me to develop players that I need for my team, but I am not spending lots of money on buying players who can do everything. I do of course hope I am able to progress the team enough so I can just go out and buy ready-made players, but at the moment this is not possible. Have a clear plan - I always make sure I have a very clear plan for every player I am developing at my club, with a plan I can focus on everything that needs to happen with a player. I will make notes on if he needs to be tutored, what attributes he needs to develop, if he needs to be loaned out etc. I cant recommend enough to take as many screenshots as you can. Seeing monthly screenshots of your players will help you so see how they have progressed with the training you have given them. 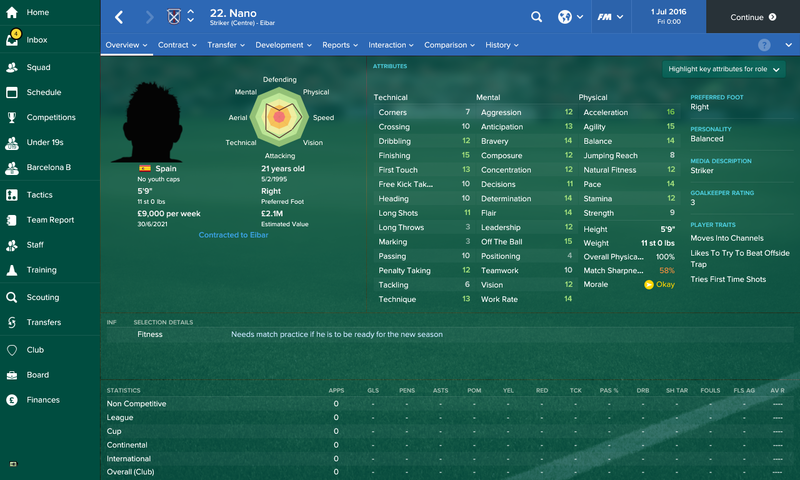 Why is it important to train and develop your own players on football manager 2017? When you develop your own players this will have a number of different impacts on your team, you could save money by taking players who are not quite the finished article and then training them to how you need them to play for your team. This can be the best way to turn a profit on a player. 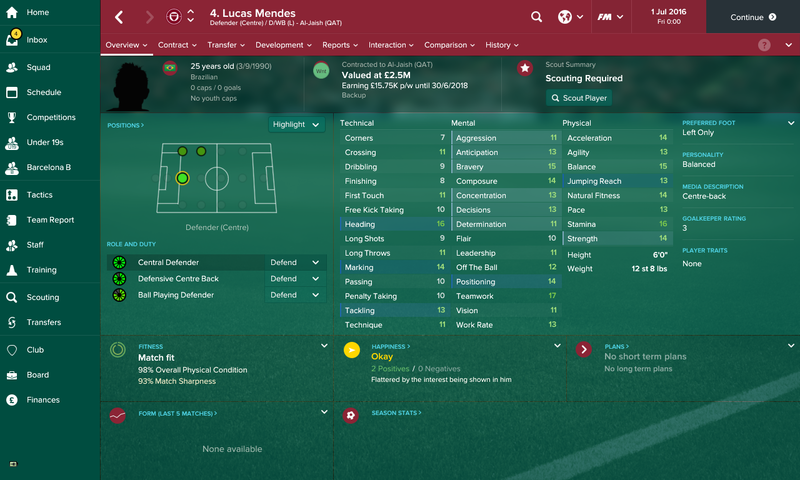 If you sign player who is quite young and not the best player, but he has potential to develop into a good player, then with the correct training program it will be possible to increase his value and hopefully sell him for a good profit. Training your own players can be good to motivate you as a manager also. In my current save, I had just won the league but for the last 3 matches of the season I decided to try out a few younger players that had came through my youth academy. I played 6 players out of the starting 11 who were from my academy. I am pleased to say that we won all three of the games, so this gave me good hope for the development of these players and that I am progressing them in the correct way. I often have a minimum of 3-4 players in my starting 11 on match day who have came through my youth academy. This does take a few seasons to get right and I would hope that as I manage to develop the team more that I will be able to get more and more players from my own academy into my starting eleven. 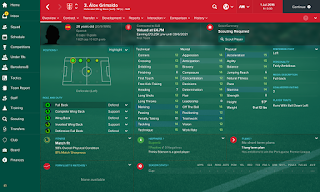 Without the correct training though, no player will reach his full potential and I will not be able to implement my plans of developing as many youth players for my first team as possible.